Mercury Cash was incorporated as a company for the first time on June 28, 2016 in the State of Florida, United States. In order to make Mining and create the platform that facilitates the transition from the obsolescence of the FIAT to a new stable system in the blockchain. 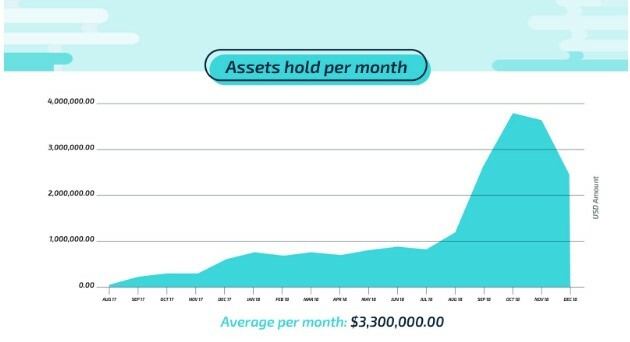 The activity corresponding to the company is that of “Money Services Business” (MSB) which is correctly registered at federal level and at the state level correctly registered as “Money Transmitter” before the Office of Financial Regulation (OFR), these licenses and permits are obtained in 2017 and allowed us to grow in 2018. 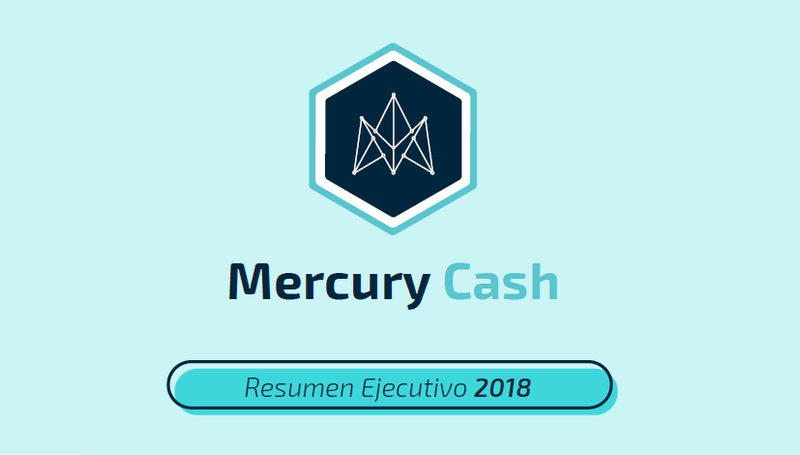 The main people in charge of the company’s operations can be found on this website https://ir.mercury.cash/officers-directors/ and the main operations of the company are carried out through https: // www. mercury.cash/. The company in its beginnings had few staff, by 2018 it had 41 people at its best and we managed 3 projects simultaneously: Mercury Cash, Miami Crypto Exchange and the creation of our security token. 4 What is coming for this year? Miami Crypto Exchange was an idea proposal of our company to obtain a Broker-Dealer / ATS license under that “Commercial Name”. However, The name Miami Crypto Exchange contravenes 17 CFR 242.301 (11) – Requirements for alternative trading systems, which states: “The alternative trading system shall not use in its name the word “exchange”, or derivations of the word “exchange”, as the term “stock market”. The company’s priorities are based on the need for working capital for its long-term sustainability, not only to become an ATS, so it was decided to focus resources only on Mercury Cash. Adventurous Entertainment LLC considers Mercury Cash (Commercial Name) as its main product, and therefore, as a priority for the use of the funds that have been raised so far. It’s important to keep in mind that the Miami Crypto Exchange was a proposal for a product / Commercial Name, which will work under the same figure of our (only) registered company “Adventurous Entertainment LLC”, therefore, the withdrawal of that name does not break No Proposal made in our initial Private Placement Memorandum (page 16). At the moment we do not intend to reopen the Miami Crypto Exchange and we concentrate where the company has had more results looking for sustainability over time. 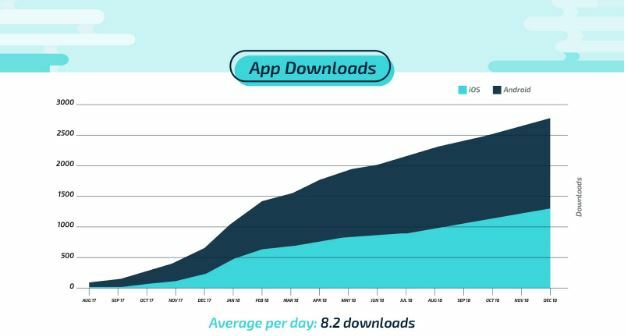 Our main product was the one that performed best, we managed to consolidate +10,000 users of which 130 are business or business accounts, and we manage to process + $ 19 mm. Credit / debit card: We made the decision to eliminate purchases with a credit / debit card due to the high risk of the operations and the low profitability of the same. 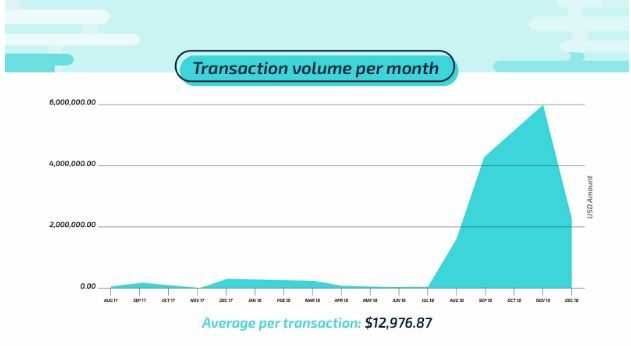 There are more people who tried to make fraud than people who actually bought. Also the attempted identity theft to use stolen cards was a big headache for us which we decided to eliminate completely. Now we have more quality of transactions and we lower our monitoring cost. 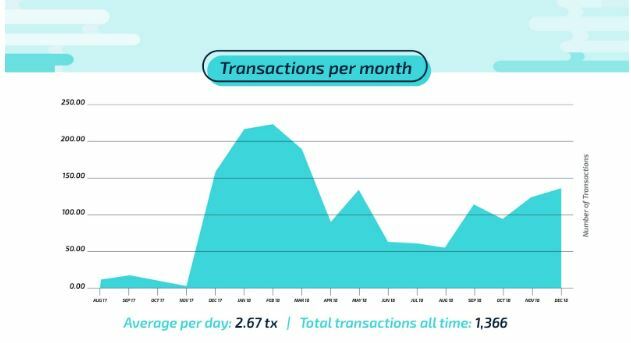 UI / UX: We implemented a new interface / user image that allowed the increase of the transactions volume, from the logo to the emails that reach the users, the users have access to the purchase emails with all the details of the operation and access to the details of the operation from recent activities. 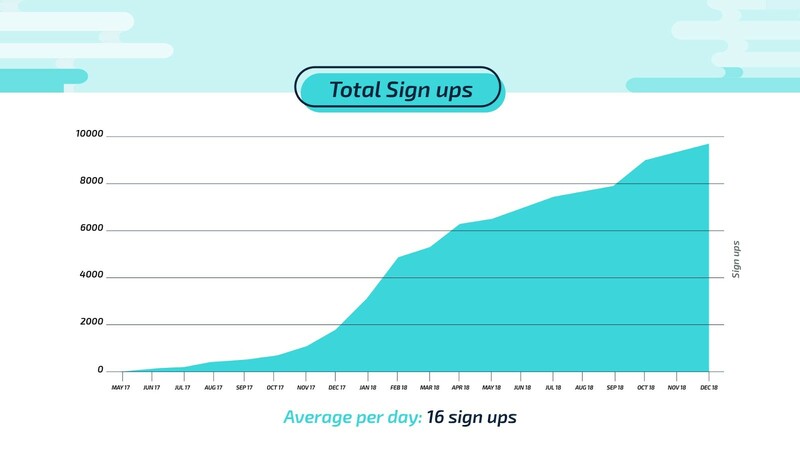 Cyber ​​Insurance: In January 2018 we managed to get Cyber ​​insurance for the first time. Compliance Officer: I had been serving as Mercury Cash Compliance Officer since obtaining the money transmitters license, upon recommendation of the audit of the Anti-Money Laundering (AML) program conducted in August 2018 it was recommended to assign a full-time compliance officer with more experience who could establish better processes. Lorenzo Delzoppo, the well-known New York attorney specializing in compliance and former compliance officer of the Florida bank, decided to join our team on September 1, 2018, and since then he has strengthened all recommendations stipulated in the AML audit. Risk assessment: Lorenzo also worked hard to systematize our control systems and evaluate all potential risks of any that register with Mercury Cash. Getting closer to the open relationship with public and private banking. 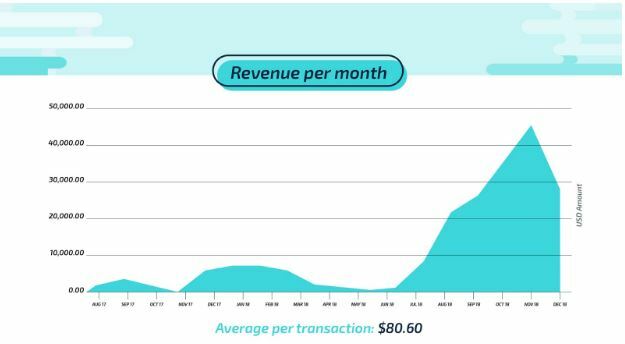 We added Bitcoin: We started with Ethereum in 2017, we also implemented Dash thanks to the partnership we made with them in December 2017, however, until 2018, we decided to add Bitcoin, which allowed us to increase our volume of transactions. Mining Operation: February 2018 we decided to shut down the farm of 8.2 GH / s of mining in Ethereum for reasons of profitability. The mining equipment has been selling since then. The warehouse that was lease was delivered to perform Mining operations. Top 10 Startup: Mercury Cash was selected among the 10 best businesses in Orlando Florida. Server infrastructure: it was possible to improve the server infrastructure by optimizing the load of nodes and crypto networks, as well as implementing a weekly backup system for virtual machines. Mercury Cash Gate: 70% of this new Mercury Cash service was advanced which will allow web pages to install the cryptocurrency payment option in their shopping cart, we already have 130 companies waiting to use our service as soon as it is released. Google ads: Google Adwords granted advertising permission to Mercury Cash to advertise legally respecting the rules. To have a little more detailed numbers achieved in 2018 I am happy to share with you these updated graphics. The creation of the security token has been somewhat controversial, a security token simply represents 1: 1 the actions of the company is simply a more optimal way to keep control of the company’s actions and facilitate the secondary market in the near future, However, to avoid confusion, we simply decide not to use the term security token anymore, and simply sell shares of the company, for optimization purposes we will use the technology with our new partner KoreConX and in turn will facilitate the stock transfer agent service for those make sales and custody of the shares so that the capitalization table is secure. What is coming for this year? We are planning to open an office in Tallinn, Estonia for July 2019 in order to open ourselves to the European market, if the capital raising plans are fulfilled, we plan to obtain 3 licenses in Estonia, for the wallet service, for the exchange service and for the Lending service. The Mercury cash gate service will be available to the public at the beginning of the second quarter, we are planning to launch a prepaid card so that users can use the balance of their dollar portfolio at any point of sale. We will continue increasing the functionalities of the software so that individuals and companies feel more comfortable using the service and each time they have to resort less to third parties. Mercury Cash is working on creating a third category of client called Agent, so that those people who want to profit from the sale of cryptocurrencies can do so through Mercury Cash completely legal, with a completely customized interface and respecting KYC / AML of the respective jurisdictions. A modernization of the existing UI-UX will be implemented and some functions of the software will be relocated in order to make it more intuitive for users, we will also publish the new version of the app in which we have been working. I thank all the team of the company and the investors who have supported us to make this project possible, we have many challenges to overcome, we must continue and move forward, with discipline, patience and a lot of perseverance, this industry is a career of non-speed resistance, so it is not only technology but also includes regulatory frameworks in different jurisdictions. The Mercury Cash team is here to run a super marathon and not for a 100-meter dash. We will continue working tirelessly so that our clients have the service they deserve and so that the financial system is an inclusive system that allows the world to have an opening in this aspect. I say goodbye to you, thank you for your time and please register in our blog to be updated, very soon I will publish my Economic Manifesto called: The economic future of the Nations will be supported in Bitcoin. 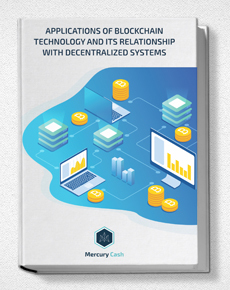 Mercury Cash will facilitate the transition from the obsolescence of the FIAT to a new stable system in the blockchain. 2 replies to "Executive Summary Mercury Cash 2018"
Una manera de mostrar su progreso de una manera facil de entender. ¡Gracias por tu comentario Irma! Seguimos avanzando! Saludos.